A valley grows unsettled about the lack of fog. Now living in somewhat sunnier Berkeley, Baldocchi studies the connections between agriculture and climate. Several years ago he noticed that more farmers were asking him what was up with the fog. That included his father, who had been growing almonds and walnuts in the Central Valley for decades. “My dad was noticing a lot less fog than usual,” Baldocchi said. If fog is indeed dwindling, that is a huge concern to hundreds of farmers in one of the richest agricultural lands in the world. 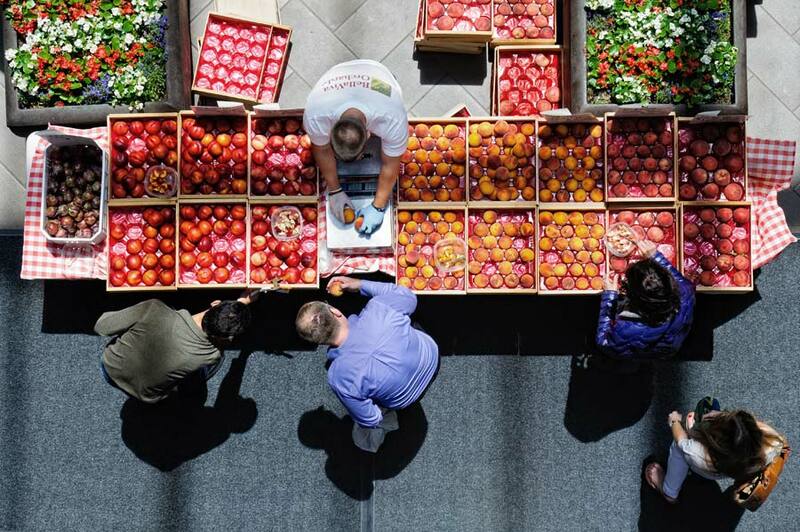 For decades, fog has protected certain crops from frying in the hot California sun. Less fog in the Central Valley would have implications for the entire country since California produces 95 percent of U.S. fruit and nut crops. Billions of dollars are also at stake, as the United States is the world’s largest exporter of nuts. California’s Central Valley stretches out in a patchwork quilt of orchards, farms, and ranches. Only tractors and hulking sprinklers seem to move in the sun. 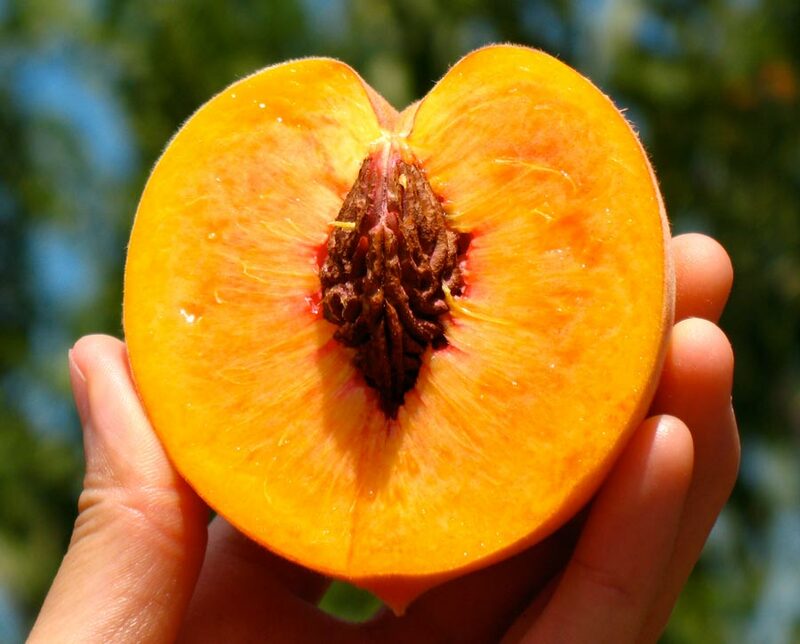 This is the land that sends apricots, peaches, kiwis, almonds, walnuts, cherries, and pistachios to pantries in the United States and worldwide. The valley is bounded on the west by the Pacific Coast ranges and on the east by the Sierra Nevada Mountains, forming a slug-shaped trough 460 miles long and 60 miles wide. It is in this trough that fog likes to settle for the winter. Fog is essentially a cloud sitting on the ground. It forms when water vapor close to the Earth’s surface cools and condenses to form tiny water droplets. Fog tends to form in the early morning after a rainy day, then evaporates in the hot afternoon sun. But the valley’s oatmeal-thick and immovable tule fog, named after a freshwater marsh grass found all over the valley, has its own special recipe. In winter, cold and dense air sinks down the mountain ranges and into the valley, filling it to the brim. When this air is moist, such as after a storm, fog forms. Higher air pressure that lingers after a storm sits on the fog, keeping it from drifting away. And because the valley is an air basin, any pollution or fog that slips in is stuck there unless a strong storm lifts and pushes it out. So tule fog does not evaporate easily. It sticks around for days or weeks, a thick, white veil over the valley. Motorists hate it. 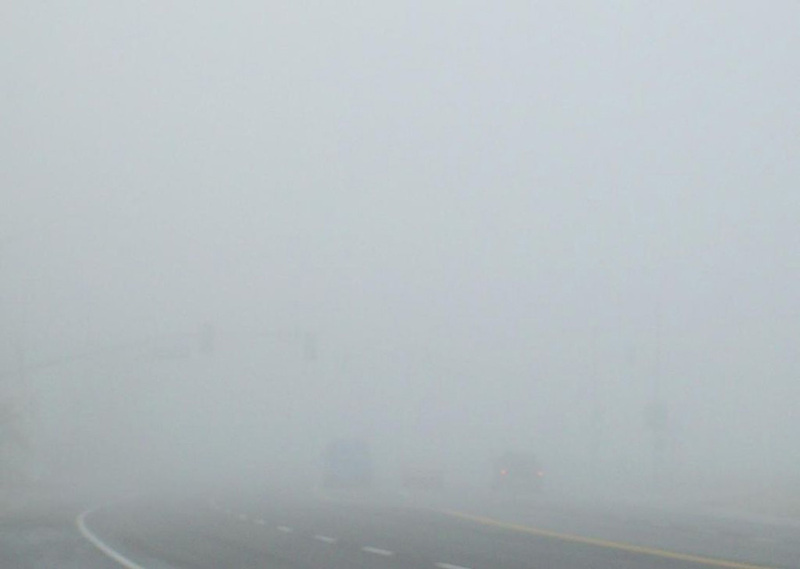 Tule fog has caused many deadly pileups on Highway 99, which threads up through the center of the valley. Farmers, however, love it. Crops such as almonds, pistachios, cherries, apricots and peaches go through a necessary winter dormancy period when trees essentially go to sleep. They drop their leaves and slow their metabolism to shield themselves from the cold. Different trees need different amounts of chill hours, measured as air temperature below 7 degrees Celsius (45 degrees Fahrenheit). Pistachios, for example, need a minimum of 800 hours, while some grapes only need a few hundred. Tule fog contributes to this chill. “It essentially provides shade for tree buds,” said Katherine Pope, orchard systems advisor at the University of California Cooperative Extension. “A bud that’s sitting out in the sun is going to be warmer than one that is shrouded in fog even if the air temperature is the same,” Pope said. Without the fog, tree buds would be four or five degrees warmer than the air and may not achieve the chill they need. Trees that get enough chill break their dormancy and regain their ability to blossom when spring arrives. A tree that does not get enough chill might bloom erratically, miss out on pollination, and fail to produce quality nuts or fruits. So Baldocchi worked with his student, Eric Waller, to stitch together surface reflectance data from MODIS and from the Advanced Very High Resolution Radiometer (AVHRR), a sensor on a fleet of satellites operated by the National Oceanic and Atmospheric Administration. The result was thirty-three years of data, long enough to see climate trends. Piecing together a climate trend was not the only challenge. The researchers needed to separate cloud images from fog images. 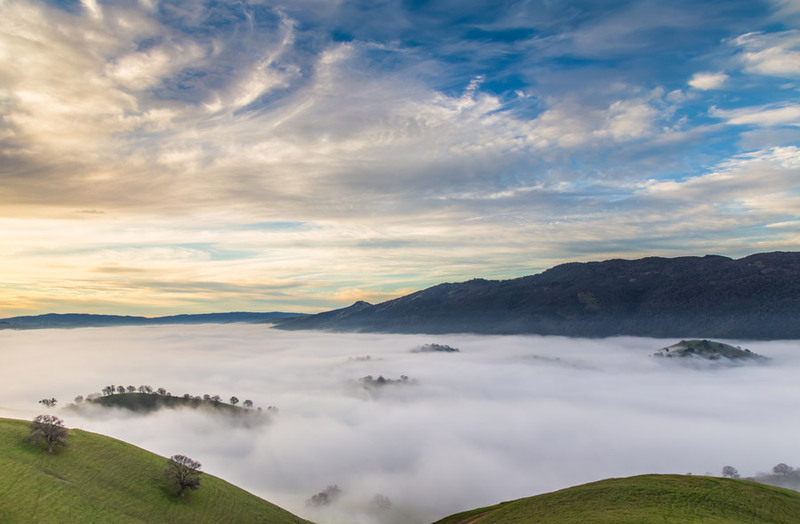 Baldocchi and Waller realized that because of the air basin effect, a satellite image of the valley on a tule fog day would show the slug-shaped trough of the valley itself. Clouds, on the other hand, would not be confined by the valley’s shape and would hover over the Sierra Nevadas or the Pacific Coast ranges. Waller worked on an algorithm to extract individual fog days from the thirty-three-year data set. 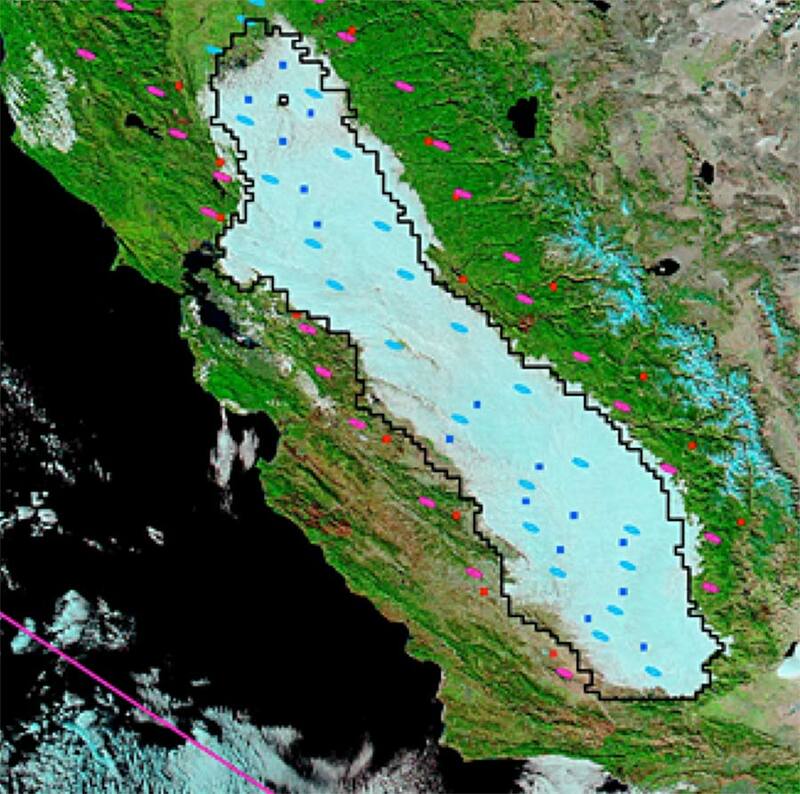 The researchers also validated the satellite images with data from University of California weather stations. Fog varied from year to year, but on average, Baldocchi and Waller found a 46 percent drop in the number of winter fog days over the past thirty-two winters. The findings are bad news to valley farmers already reeling from a four-year drought. “During this drought, we had no fog at all,” Baldocchi said. In a previous study, Baldocchi and his colleagues found that the annual winter chill hours are diminishing in the valley and have dropped by several hundred since the 1950s. The researchers predicted that by the end of the 21st century, orchards in California are expected to receive less than 500 chill hours per winter. Other studies predict the climate in California to warm over the next 50 to 100 years. While Baldocchi’s findings may mean safer roads for the valley’s commuters and more solar power for renewable energy enthusiasts, they could signal another huge transition in California’s agricultural landscape. The last one came in the 1940s when rising water prices and shifting global markets forced California farmers to abandon cotton and wheat in favor of fruit and nuts. The decline in fog days and winter chill has yet to affect crop production and Pope says no study has tied these to decreases in yield. “But certainly, if this trend continues and we have increasing temperatures over winter, the two will exacerbate each other and will have yield consequences for California in the future,” Pope said. And that ultimately means smaller harvests. “It’s just going to be a matter of whether it will be in twenty years, or fifty years,” Pope added. Baldocchi, D., and E. Waller. 2014. Winter fog is decreasing in the fruit growing region of the Central Valley of California. Geophysical Research Letters 41, doi:10.1002/2014GL060018. Baldocchi, D. D., and S. Wong. 2008. Accumulated winter chill is decreasing in the fruit growing regions of California. Climatic Change 87(S1): 153–166. NASA Land Processes Distributed Active Archive Center (LP DAAC). MOD09GA and MYD09GA. USGS/Earth Resources Observation and Science (EROS) Center, Sioux Falls, SD, 2015, doi:10.5067/MODIS/MOD09GA.006. Pope, K. S., V. Dose, D. Da Silva, P. Brown, and T. M. DeJong. 2015. Nut crop yield records show bud-break based chilling requirements may not reflect yield decline chill thresholds. International Journal of Biometeorology, doi:10.1007/s00484-014-0881-x.